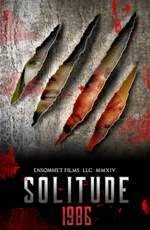 CHICAGO -- March 2, 2015 -- If you see only one film during The Indie Horror Film Festival in Chicago*, make it Solitude**(Ensomhet Films), screening March 22 at 1:15 p.m. at the Schurz Assembly Hall (Schurz High School, 3601 Milwaukee Avenue,Chicago, 60641). Tickets are $15 in advance, $20 at the door and $35 for a weekend pass. 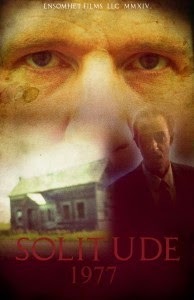 Smartly co-written and -directed by two first-time feature-length filmmakers, Solitude is much more than just a horror movie. It's a suspenseful film experience that stylistically pays homage to six different periods of the horror genre over 75 years, while deftly conveying the mysterious story of a family's land haunted for generations by an ancient evil dwelling on their riverfront property -- -- and an enigmatic woman who warns trespassers of its danger. Last fall, the movie sold out its only screening and went on to receive the "Audience Award" as the favorite film at the annual Twin Cities Film Fest. Meanwhile, the film's Make Up Artist, Darla Edin, is still a strong contender on the national stage in the Reality TV show, "Face Off: Return of the Champions", recalling her mastery in Solitude as she helps create the look and style of the movie's characters from different cinematic periods. 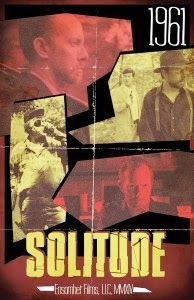 "Solitude was a classic example of independent filmmaking, with very little budget, but many first-rate volunteer actors and crew members," notes Taylor Olson, the co-writer and -director with Livingston Taylor (SEE BIOS). "Over a two-year period, we shot most of the movie on four acres of my parent's land along the Rum River in Andover, Minnesota (just north of the Twin Cities). My mom served as our Craft Services. Since we couldn't pay everybody, we wanted to make sure they were still well fed and cared for on the set." "Taylor and I decided after we got out of Full Sail in Orlando in 2011 where we first met that we wanted to be more than just PA's (production assistants) working on TV and infomercial shows," adds Livingston Oden, a Georgia native. "It was Taylor's idea to tell the plot of Solitude through 75 years of several different horror film time periods from the '30s to the present day. So once we had our core story down and discovered we could do that, things fell into place." "We were both surprised -- and thrilled -- that the movie turned out to be the Audience Favorite at our first film festival in the Twin Cities," he said. "Now we're really looking forward to the Chicago fest since we'll be featured with both young and experienced horror filmmakers!" The Indie Horror Film Festival (formerly known as “Indy Horror Film Festival) returned from the dead in 2010 with hopes of swallowing mortals whole and filling their souls with a thirst for blood and horror. The festival screens films from all over the world and brings the best of blood, gore and horror to the big screen for you to enjoy! This festival is about more than movies however. It also features the “Art of Horror” display, a “Scream Contest," special guests, on stage performances and more! In 2014, journalist James Erikson is drawn into his family's hidden history upon the death of his single mother. She leaves him a solitary box of family journals. newspaper clippings, and audio and video tapes, locked in an old storage locker. As he researches the contents, he discovers that an evil presence haunts his family's land that they have tried to ignore -- and contain -- for several generations -- plus some disturbing but redemptive clues about who his father was. As he unravels the grisly secrets of his family's property and his predecessors, Erikson is compelled to return to the Solitude River to try to complete the gaps in his own story and to destroy the malignant force, even though he -- like others through the decades -- are explicitly warned to stay away by a mysterious indigenous woman. The horror genre has a vast history that perhaps no other genre can match. Throughout the annals of cinema, each decade of film produces -- or creatively reproduces -- something new. 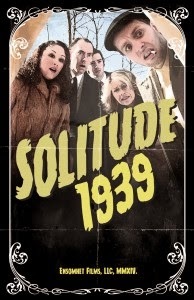 Now, Taylor Olson and Livingston Oden’s Solitude takes us back through celluloid time and unearths an intriguing anthology of horror film genre styles through the creative storytelling of their first feature film -- complete with individual posters from each period. 1939 – Reminiscent of classic -- and occasionally corny -- monster movies of the time period, such as “The Mummy” or “Frankenstein," this segment of Solitude finds Frank Erikson, the scientist in the family, doing research in North Dakota during the '30s when a mysterious monster attacks his research team. 1961 – Influenced by Alfred Hitchcock’s films and other B-movie’s of the 50’s and 60’s -- this segment of the story finds an older Frank Erikson returning to the Solitude River to try to destroy the monster once and for all. 1977 – In the style of supernatural horror films of the 70’s like “The Omen” or “The Exorcist,” this part of the film follows Donald Erikson, Frank’s son who is a real estate broker and is planning on building river homes in Solitude, but he does not realize what evil permeates the land. 1986 – Classic 80’s slasher movies s such as the “Friday the 13th” or “Nightmare on Elm Street” color the scenes in which a group of college friends -- including the main character's mother and boyfriend -- are planning on spending a weekend camping and partying near the Solitude River, not knowing the consequences of others who have done so. 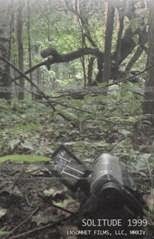 1999 – Giving a cinematic shout-out to "The Blair Witch Project," Solitude's last segment before the present day and the film's conclusion is shot like "found footage," as the movie follows a group of film students who heard rumors of the deaths near the Solitude river and begin shooting a documentary about them. Present Day -- The modern thrillers and horror films such as" The Mothman Prophecies," "Sinister", and "Insidious"influence the movie's contemporary period, shot in 2014. Very nice information!! These kinds of events are just adorable. I love attending these events with my kids. Now they are asking me to attend upcoming Christmas events at some outdoor event venues San Francisco. 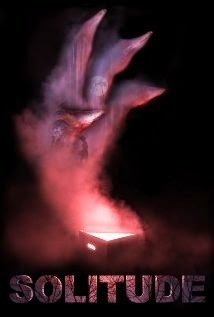 So I might buy the tickets soon!